Spring is sprung! We have had some lovely sunny days this week with the temperatures up in the low 20s. 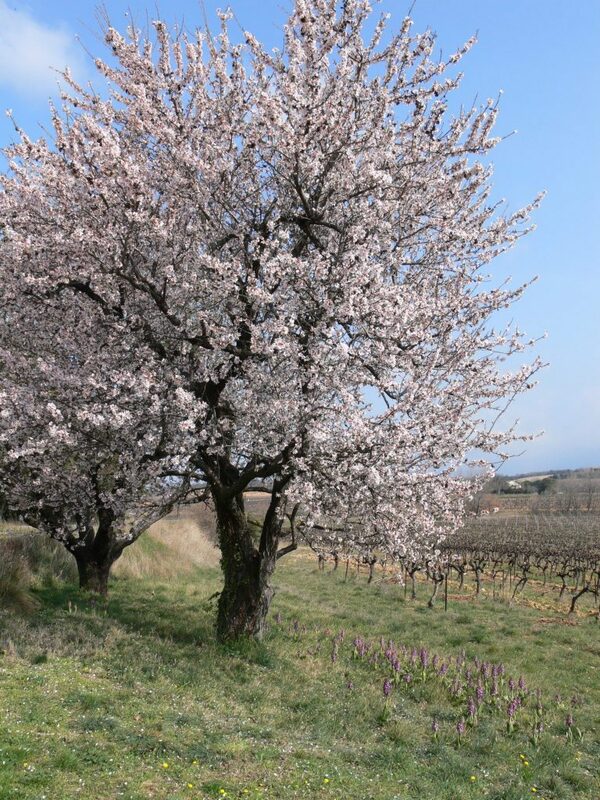 Signs of Spring are all around – above is the cherry blossom just about to burst open. 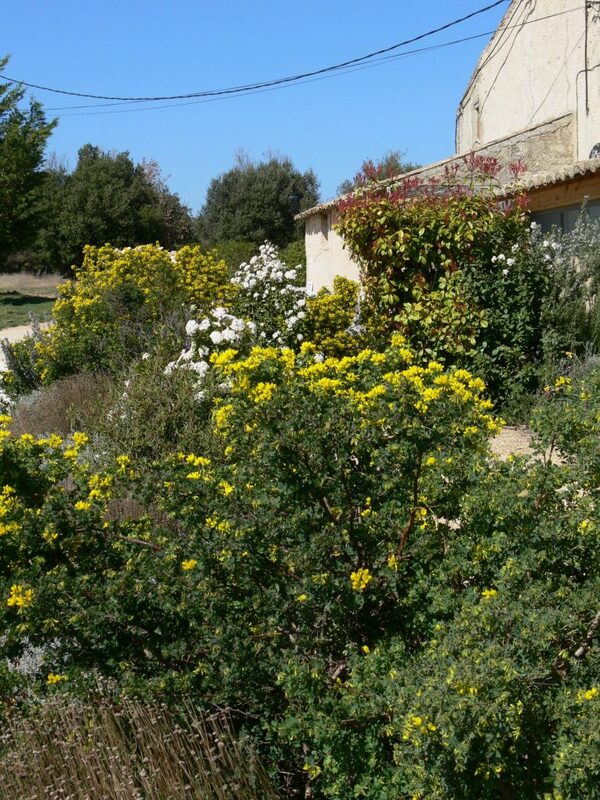 A couple of other shots below show the sweet almond trees in full bloom with their carpet of wild orchids below and the hedge around our gite in full bloom. 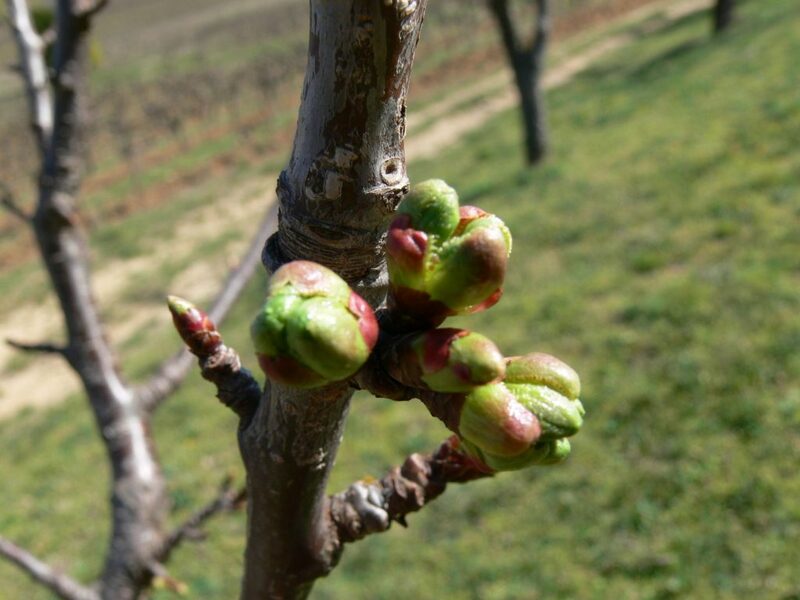 Bud burst on the vines is still three or four weeks away, but they are already starting to “weep” – with sap rising out of the pruned stems. An update on work in the vineyard shortly.